Erection of health centre and convenience store with car parking at former auction mart site in Sedbergh. 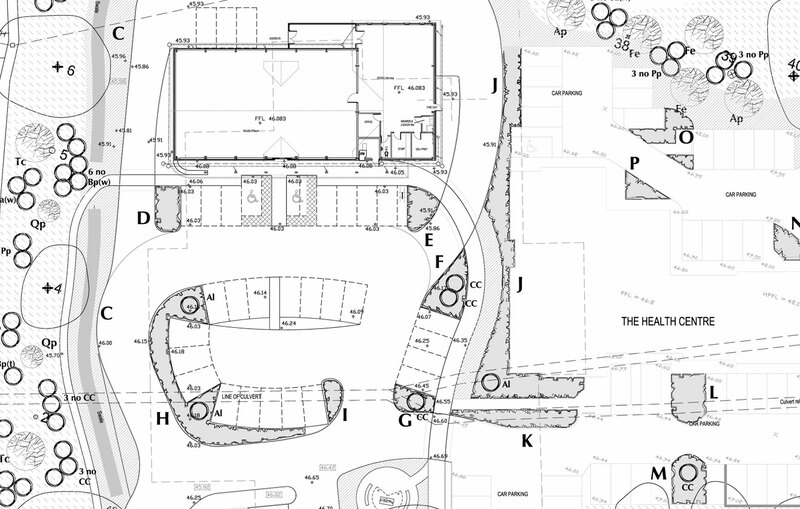 Stephenson Halliday prepared detailed landscape proposals for the health centre and convenience store site in Sedbergh. Set within the Yorkshire Dales National Park the key focus was to sensitively assimilate the proposals into the surrounding character of the area. The proposals integrated pedestrian and vehicular access amongst amenity areas and mature specimen trees protected by Tree Preservation Orders. The design included SUDs in the form of swales, timber boardwalks and seating areas along the roadside frontage. We worked closely with architects, arboriculturalists, transport consultants and stakeholders including the National Park Authority to produce the sketch design and final design proposals submitted as part of the planning application.